There are several roles that need to be performed within the service delivery department. Obviously, there are technicians. When you get a few techs, you'll eventually have a service manager. We've already discussed Service Manager Roles and Responsibilities as well as Technician Roles and Responsibilities. Now let's talk about the "Tech on Call for the Day" role. This discussion can also be applied to a service coordinator role. I will use the terms Service Coordinator and Tech on Call interchangeably. Notice that I'm very careful to refer to this as a role, because this role might be performed by almost anyone in the company. When you're just starting out, the owner will wear this hat along with the technician hat, service manager hat, front office hat, and all the other hats. I like to call it the Tech on Call for the Day because that's a very good way to transition into having levels of responsibility in your service department. You can rotate this role between each of the techs on a schedule that makes sense for you. You might rotate every day or every week. Rotating this role takes these responsibilities away from the owner or service manager, allowing that person to be more productive in higher level activities. Rotation has other benefits as well. It allows you to "test drive" each of the techs to see how they might do with additional responsibility. And it's a great way to make sure each of the techs understands the rules of service board management, setting priorities, scheduling work, etc. Of course you have to decide who will and who will not rotate into this position and how frequently. In the beginning, the owner or service manager will have to spend a lot of time with the Tech on Call for the Day. The list of duties is essential to your daily procedures and as such they are to be reviewed and changed periodically in order to fit your policies better. Please do not consider this list static. In addition, be open to input from anyone who rotates into the Tech of the Day position. This will help you continue to fine-tune your processes. a) When you are "on point" for the day, you will be monitoring the Service Board and updating it at least every hour. b) Take over the phones. This means that you will catch incoming calls. The actual process for this will vary depending on your phone system. Remember, the Coordinator role is there to accept new requests from clients but you are not there to answer billing or service related questions. If that happens, simply explain to the client your role is there to take down the issue and then enter it into the system. For further questions please refer the client to management. Also remember: This is not a "help desk" position. 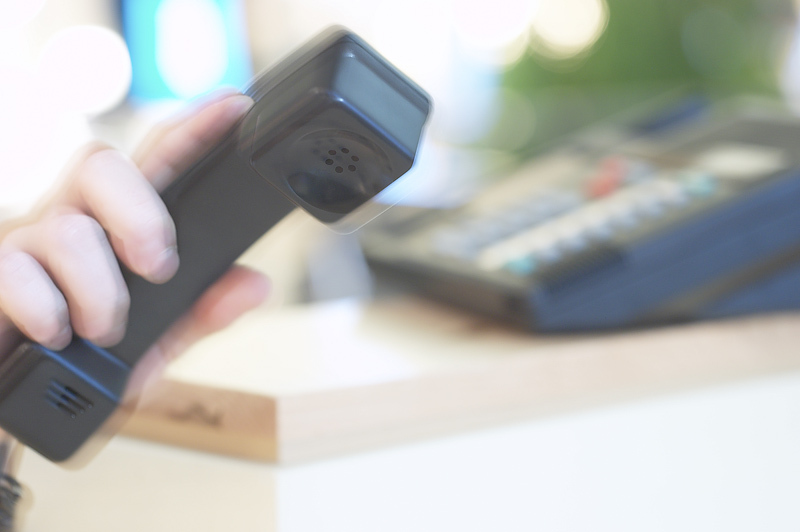 The Coordinator is not authorized to answer the phone and start solving the client's problem. Nothing in this position eliminates the need to enter service requests into the PSA system, prioritize them, and work them from highest to lowest priority and from oldest to newest. Tickets have to get into the system; but we are not interrupt-driven with regard to work priorities. c) You will be managing the outsourced monitoring and help desk (e.g., Continuum) and therefore need to be the designated coordinator in their system. Log into their system and make this change, or call them to notify them. In general, follow whatever process they need. d) You are in charge of letting the remote monitoring service know when we are doing maintenance on a server that would require either downtime or reboots. Use the message board and post a message accordingly. Again, follow their process. e) Perform the daily monitoring duties as described in the Standard Operating Procedures document. - How Do Service Requests Get Into Your System? g) Work on Priority 4 Service Tickets. This is one way we make sure that the P4 tickets get attention. You need to be interruptible enough to take phone calls and perform all the little tasks above. Working low-priority tickets is a perfect combination as you can switch tasks fairly easily. h) Unless the service manager has a reason to do otherwise, you will work service tickets that involve working with line-of-business tech support, shadowing them as they access client machines, and generally making their support work as successful as possible. Ideally, this work is scheduled at a specific time. And since our primary responsibility is simply to monitor the vendor's access, it fits well with the coordinator role. i) As higher-level tickets enter the system, you will coordinate with technicians to make sure that they are working on the highest-level, oldest tickets in the queue. If technicians are scheduled to be out at client offices, you will keep track of who is where and how they will proceed through their day. Sometimes, jobs are finished faster than expected. At other times, they drag on longer than expected. The "coordinator" piece of this job is to balance all the resources (people) available to your and tickets that need attention. In general, the Service Coordinator role will help to move tickets through the system. In a perfect world, this role would not be needed because the process of prioritizing tickets and then working them from highest to lowest priority and from oldest to newest will always keep everyone doing exactly what they should be doing. But since you are also dealing with human beings, there is a good portion of "art" in addition to the science of managing tickets. First, you need to define the specific duties to be performed by the Tech on Call for The Day. These will be some subset of duties already being performed by one or more people already. In fact, it may include some things that should be getting done but aren't. Write out the duties in a manner similar to the list above. Second, you need to determine a rotation schedule. Who will rotate through this role? How often will you rotate? Will the service manager or owner be on the rotation list? Third, once you've written out the duties and rotation, you need to do some training. All the technicians should be familiar with the basic tasks required for this position. But very often, we don't pay close attention to the details of jobs that are not our own. So they might know the broad outline but not the details of performing the tasks. Training of some kind is in order. Fourth, set a schedule and begin the rotation. Do some debriefing after one day, three days, and one week. Accept lots of feedback, give lots of feedback, and fine-tune the process in response to the realities of your business. The most obvious benefit is that this process is an evolutionary stage as your business moves from one-tier to a multi-level service department. It is a good way to transition to having a full-time service coordinator, but it allows you to see how each technician will do without making permanent changes. The rotation will also increase the efficiency of your team as each technician learns a higher level of detail about the flow of tickets through the system and the fine points of service coordination. Setting priorities, coordinating schedules, and working with clients. When everyone on the team has a higher level of understanding for these functions, they will all be better at supporting and reinforcing one another. That takes your team and your service delivery to the next level. 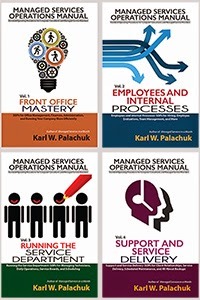 SOP Friday - or Standard Operating System Friday - is a series dedicated to helping small computer consulting firms develop the right processes and procedures to create a successful and profitable consulting business. 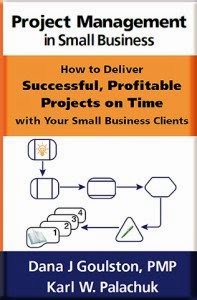 Find out more about the series, and view the complete "table of contents" for SOP Friday at http://www.smallbizthoughts.com/events/SOPFriday.html. The Best I.T. Service Delivery BOOK EVER! How about when clients are used to calling in and speaking with this person, but since he is "tech on call for the day" he will have to tell the client that he can not resolve their issue and only create a service ticket. Is this what you are saying? That is exactly what I'm saying. I know it's hard to believe, but this is really easy. And unless the client's server just crashed, they'll be 100% okay with it. The key to success is to make sure the client knows that someone will look at it very quickly. BUT you also need to practice asking the question, "How soon do you need this?" We tend to assume that everything's urgent. But if you have built a reputation of responding in a timely manner, clients will be comfortable telling you that it can wait until 4PM or even next Tuesday.